Ann Maria Kalippilanu aka Aan Maria Kalippilaanu is one among the 3 releases that graced Mollywood today. The flick is directed by Midhun Manuel Thomas and scripted by the director himself in association with John Manthirichal. The film is produced by Alice George under the banner of Goodwill entertainments. 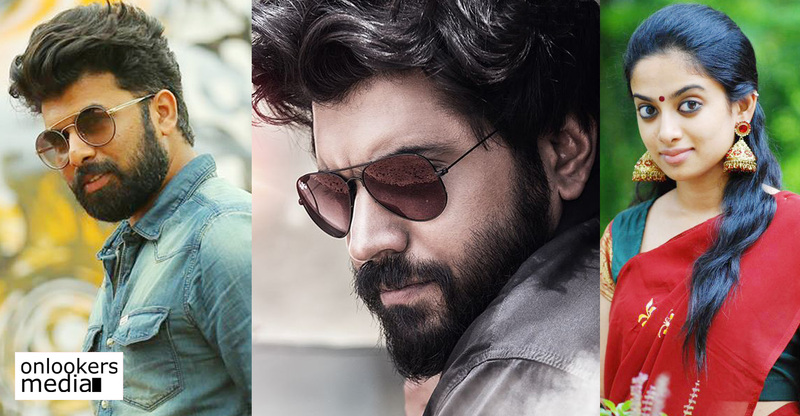 Sunny Wayne, Baby Sara Arjun, Aju Varghese etc played the lead characters in this movie. This is the second venture of Midhun Manuel Thomas as a director after Aadu Oru Beekara Jeeviayanu which released last year. The posters and trailer of this movie got great response before its release and a song sung by Vineeth Sreenivasan also attracted the people towards this movie. The plot of the movie revolves around Ann Maria as the title suggests. Baby Sara playing this character in the movie. Ann Maria is a 4th standard student and she wants to get first prize in high jump just like her father did years back. Her father is in Syria as a part of a camp and she is with her mother who is a doctor. But the villain in her life is the PT Master in her school. One day she lodges a complaint against PT Master to the principal and that makes him to turn against her. He deliberately disqualify her while she participates in High Jump competition and takes his revenge against her. She becomes furious with that and wants to take her revenge upon him. She decided to find someone who can give some body blows to the PT Master. Her search takes her to a local fraudster named Poombatta Gireesh played by Sunny Wayne. We can say that Midhun Manuel Thomas had succeeded in doing a movie which is very much better than his maiden venture Aadu Oru Beekara Jeeviayanu, which released last year. Midhun Manuel Thomas and John had jointly wrote a screenplay which is an average one in terms of its quality and he executed it decently. Even though there was lagging in the narration, he managed somehow to make the audience to sit through. There was nothing special in the screenplay, but it was not bad either. The absence of a strong plot really affected the movie. Even though the total narration lacked freshness, it managed to make the audience entertained to an extent. The performances from artist were decent. 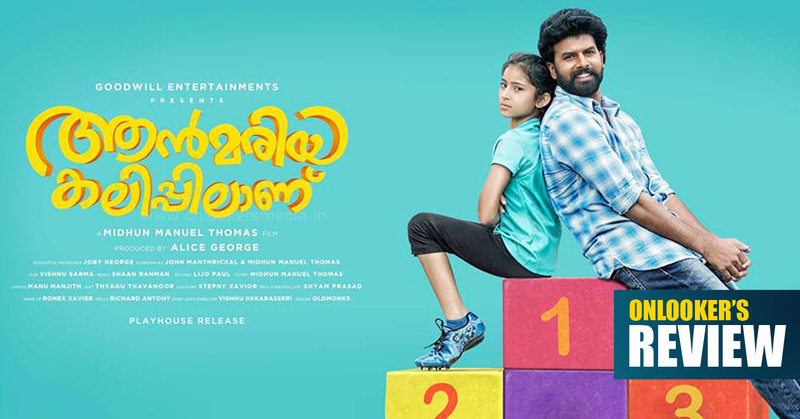 Sunny Wayne as Poombatta Gireesh, had done a good Job and Baby Sara done a decent job as well. 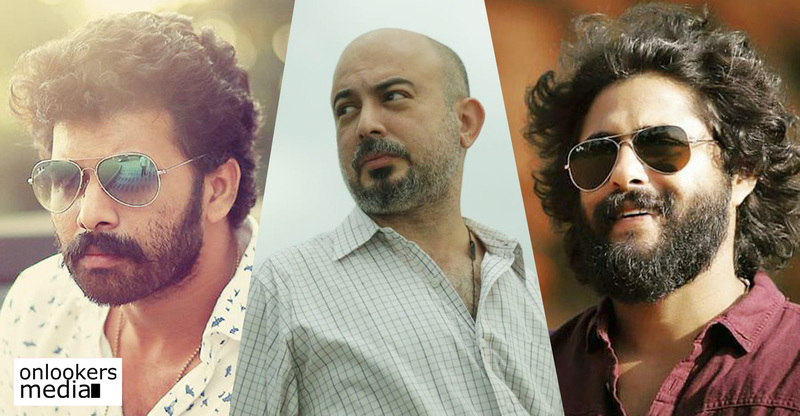 Artists like Aju Varghese, Leona Shinoy, Saiju Kuruppu etc also done a good job and the guest role from Dulquer Salmaan got great appreciation from the audience. But the real show stealers in this flick is Siddique and Biju Kuttan. Siddique was terrific in emotional scenes and sometimes he will make us remind about that vintage Siddique which we saw in films like Lelam. Biju Kuttan also made the audience laugh heart out in some sequences. The film has only one song and it was good. But the background scoring was not that good. Shan Rahman had tuned the song and background scoring was done by Sooraj S Kuruppu. Visuals from Vishnu Sharma was decent and Lijo Paul’s editing was also neat. In total, Aan Mariya Kalippilanu is a onetime watchable flick which will not let you down, if you go without much expectation.